This one got rejected for motive. I'm guessing the stairs. I don't think this is justified. There are plenty of photos of the same type. Click on the top 180 photos of the last year and there are at least two photos with objects obstructing the aircraft. 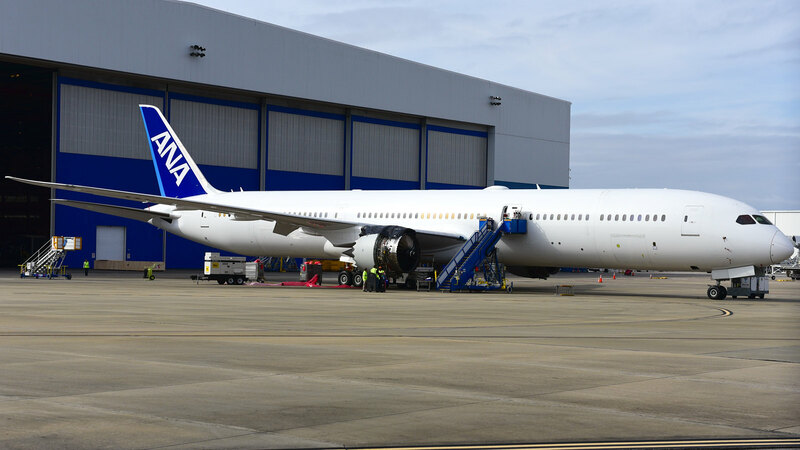 This is a unique photo depicting the first 787-10 for ANA, engine cowling is off, and unpainted. Here's even one of mine that got over 6k views with 2 stairs blocking it that got accepted! The fence on this one? Currently on the front page. I'm in no way bashing other photographers it's just frustrating trying to understand the individual screeners preferences. It's rather the maintenance people in my opinion. If it was just the stairs, I would've maybe given you the benefit of the doubt. But with the people blocking the engine it's a little much, sorry. The Air China is in full livery & without people blocking the aircraft. The Germania is hardly blocked by the fence (just a tiny tip of the flap track fairing) and also the first photo of the change in status for this frame. I screened this image and rejected it on account of the obstructions. For starters, any obstructions to engines or landing gear typically draw a motive rejection(reference the Acceptance Guide description on Motive rejections). Your image has both. As for the ones already in the database, there may have been extenuating circumstances, or it may have been screener oversight (it happens). Thanks for the detailed explanations guys. Understandable now.